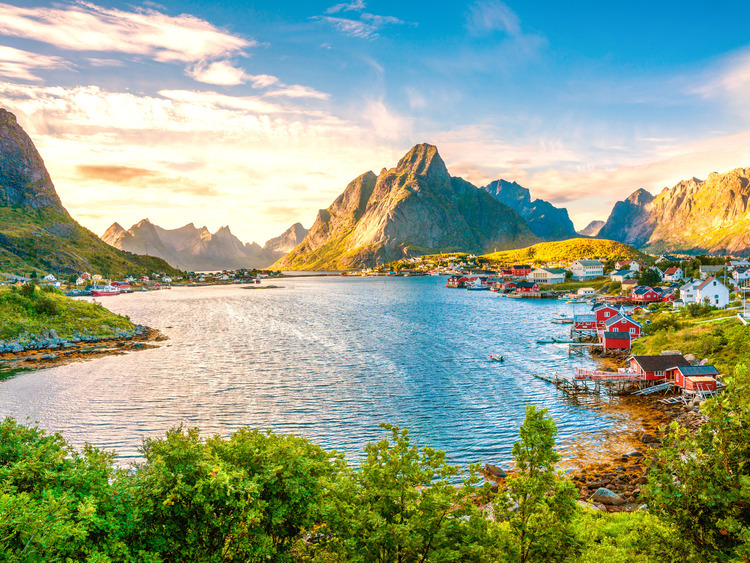 The Lofoten Islands are well-known for their excellent fishing, natural attractions, small villages off the beaten track and their vast, dramatic landscapes: we’ll explore these islands anchored to the Arctic Pole. The Lofoten Islands are formed by 190 km of mountains falling sheer into the sea: close to this wall of granite it is difficult to imagine the lush vegetation lying hidden in the inland valleys and fishing villages. Our excursion begins at Leknes on the island of Vestvågøy, the largest in the archipelago. Here, agriculture is as important as fishing. After a short journey, we’ll cross the tiny strait between Lilleeid and Napp on our way to Nusfjord, one of the best preserved fishing villages on the Lofoten Islands. It was one of the three towns chosen to represent Norway for the European Architectural Heritage Year initiative in 1975. Here we can see the original architecture of the fishermen’s houses which, nowadays, are used as accommodation for tourists taking part in the activities organised in the region. On our return to Vestvågøy, we cut through the administrative centre of the island and then continue up towards Hagskaret, from where we can enjoy breathtaking views over the Norwegian Sea and Vestfjord, between the Lofoten Islands and the mainland. We descend towards the fjord as far as Sennesvik to rise once again to Einangen, another famous viewpoint. From here we can take some photos of the Buksnesfjord before returning to our ship.